Leslie F. Roblyer Learning Center for 5th and 6th grades opened its doors in 1995. Leslie F. Roblyer was born June 16, 1925 in Piedmont, OK to John Leslie and Faye Roblyer. He was a life-long resident of El Reno. 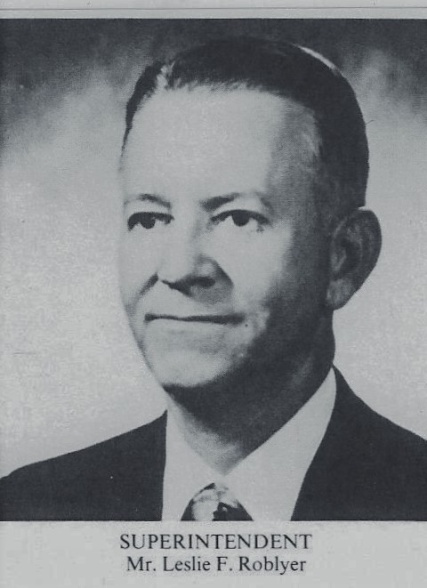 He attended school at Webster Elementary, Etta Dale Junior High and graduated from El Reno high School in 1943. He said his first experience with good people was at the school where he grew up. He said his mother was his main influence because she always encouraged him. After graduating from El Reno High School, he joined the U.S. Air Force where he navigated a B-17. When his time in the service was completed, he returned to serve El Reno Public Schools for 42 years as a teacher, principal and superintendent. Mr. Roblyer retired in 1990. He was always dressed up and looked neat. He was known for coming to work before others arrived and staying later into the evening. Roblyer was proud to be a part of the El Reno Public School System, serving as Lincoln Elementary School principal, El Reno High School curriculum director / teacher / high school principal, and then El Reno Superintendent of School for 28 years. He also worked as El Reno Junior College president for nine years before retiring in 1990. Even after his retirement, Roblyer’s presence could still be felt throughout the district. He remained an active volunteer and philanthropist working with the Special Olympics, the American Legion Boys State program, El Reno Public Schools Foundation and the El Reno Retired Teachers’ Association. Roblyer died April 10, 2008 and is buried in the El Reno Cemetery. The Roblyer Middle School was named in honor of Leslie F. Roblyer. 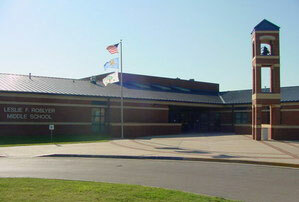 It was the first new school to be constructed in El Reno in more than four decades. The school for sixth and seventh graders was built in a former wheat field. It opened in the fall of 1996. 1. Set your goal each day to accomplish two more things than you think possible, and then work at that speed. 2. You must accept detours, pot holes, and delays en route to opportunities for getting a different view. 3. You should be certain you thank those who give you good direction as you travel the road to success; this may be parents, teachers, the custodian, a neighbor, or a classmate. Vernon Reuter was born in El Reno on May 15, 1925. After graduating from El Reno High School, he served in the U.S. Army for two years and was a veteran of the European theater in World War II. 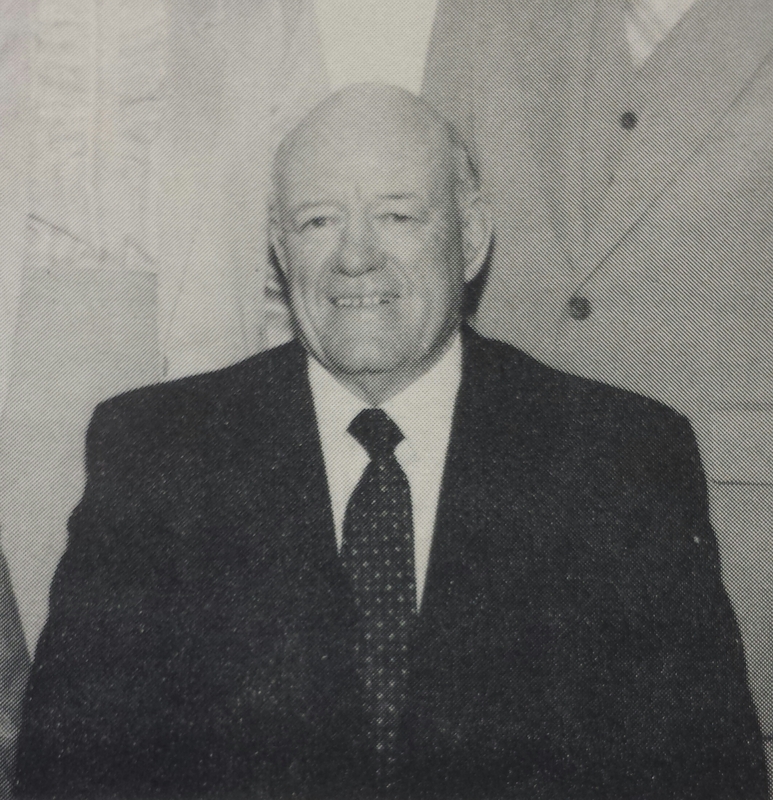 Mr. Reuter began serving on the El Reno board of Education in 1967 and served for 32 years. He enjoyed working with people and was a faithful participant in the life of the El Reno school system. Bill Nuzum was employed with El Reno Schools for over 20 years. Much of the behind-the-scenes work that makes a school successful was guided by Mr. Nuzum. He donated the bell for the Nuzum Memorial Bell Tower which stands proudly outside of the Leslie F. Roblyer Learning Center. The donated bell is in memory of Mr. Nuzum’s son, Bryan King, and his grandson, Brandon King.